I spent more of Saturday than I should have researching the Chrysler 300 CD mystery. In an earlier post, I mentioned my surprise that my Beats-equipped 300S tester didn’t have a CD player. Wow, you are correct, no CD player for 300! 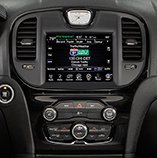 Chrysler substitutes a Media Hub that includes an SD card slot, a USB port and an auxiliary input. Will Chrysler’s bold CD move influence buyers away from the brand? Or, is the company channeling Steve Jobs, who changed the computer industry when he effectively killed the floppy drive with the 1998 debut of the (floppy-free) iMac? Next Article No CD player for Golf?